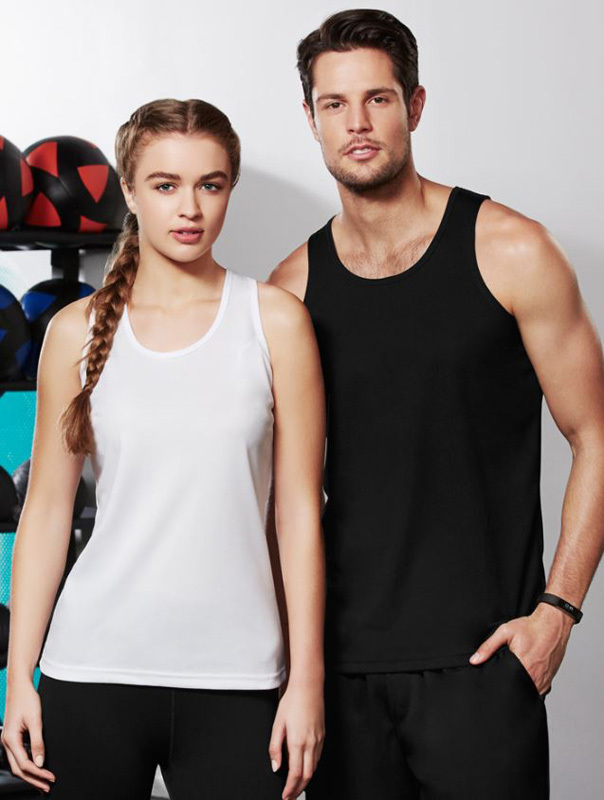 A number of businesses can benefit from the use of promotional CoolDry singlets, including commercial gyms and even professional sporting teams. Your brand or sponsorship logo can appear on the front or back printed CoolDry singlets, ensuring maximum visibility when you’re playing or walking around. Do you hate feeling hot and sweaty after a workout? 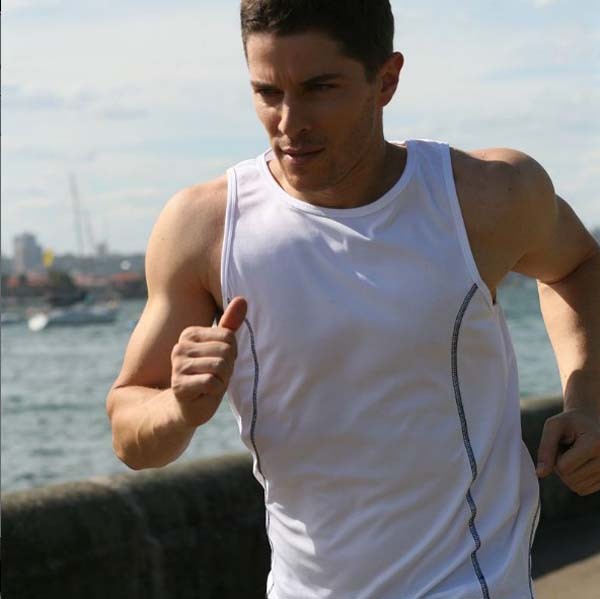 Novel Tees’ range of custom CoolDry singlets could be just the solution you’re looking for, as they allow your body to breathe and cool down. Available In Adults & Kids Sizes. 100% Polyester for durability. 140gsm Mesh fabric. 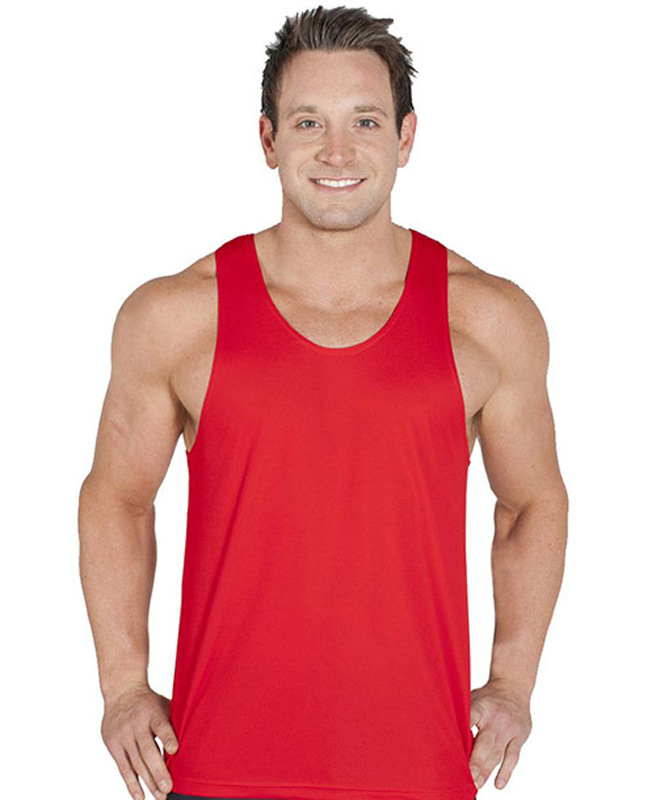 Why choose Novel Tees promotional CoolDry Singlets? 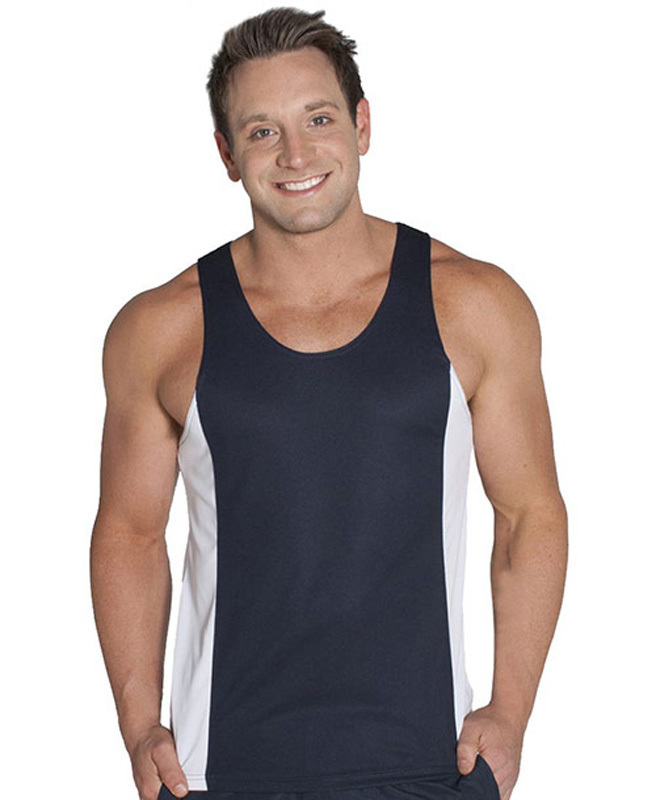 Are you wondering how branded CoolDry singlets can help your business? 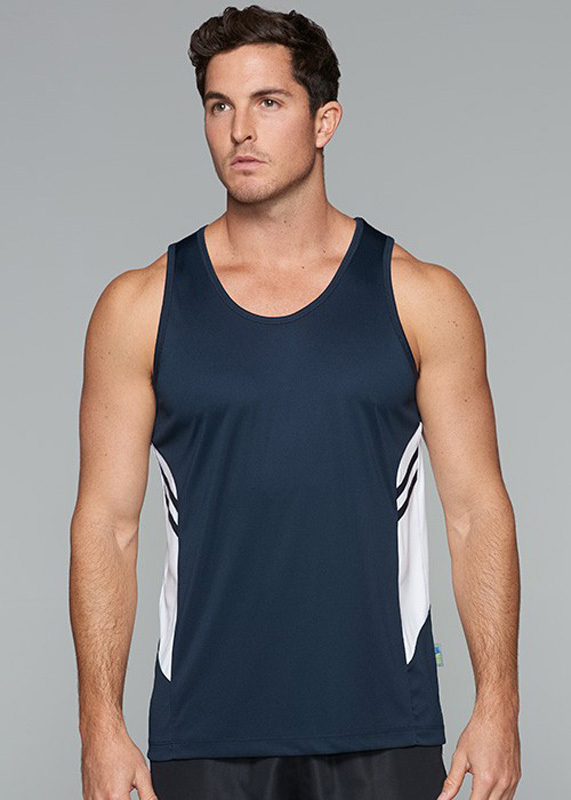 Whether you play for a local sports team, like to hit the gym, workout regularly or are otherwise involved in the sports industry, CoolDry singlets with your logo will help you to keep cool and market your business, team or sponsors at the same time. 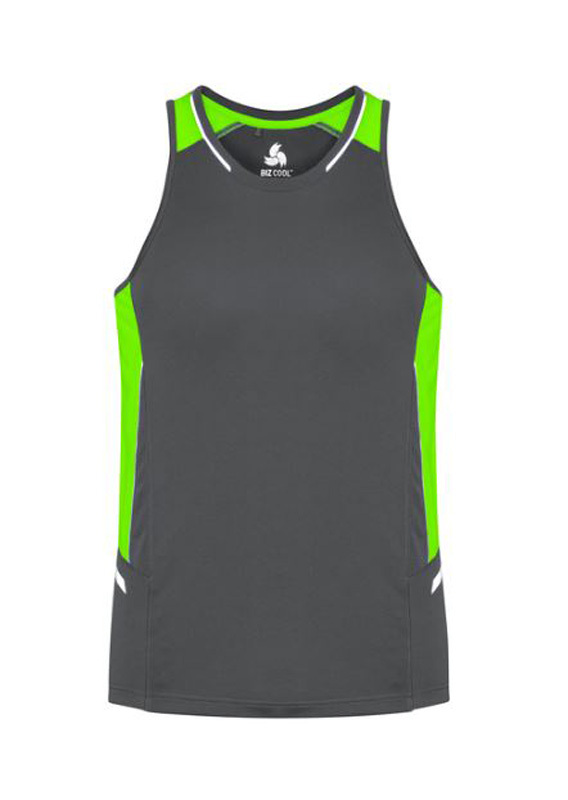 Our promotional CoolDry singlets are a must for anyone who likes to work up a sweat. 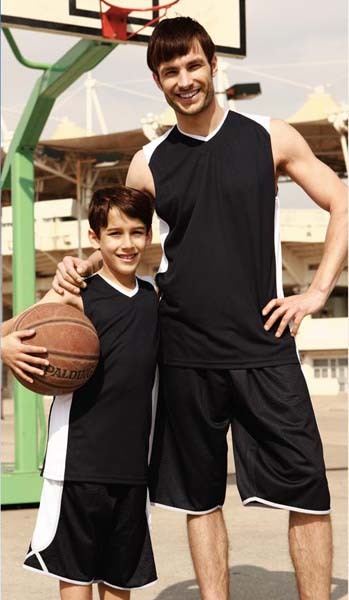 Choose from a wide range of promotional CoolDry singlets for men, women and children – including contrast, breezeway, slam-dunk/basketball, dual stripe, accelerator, razor and sprint. 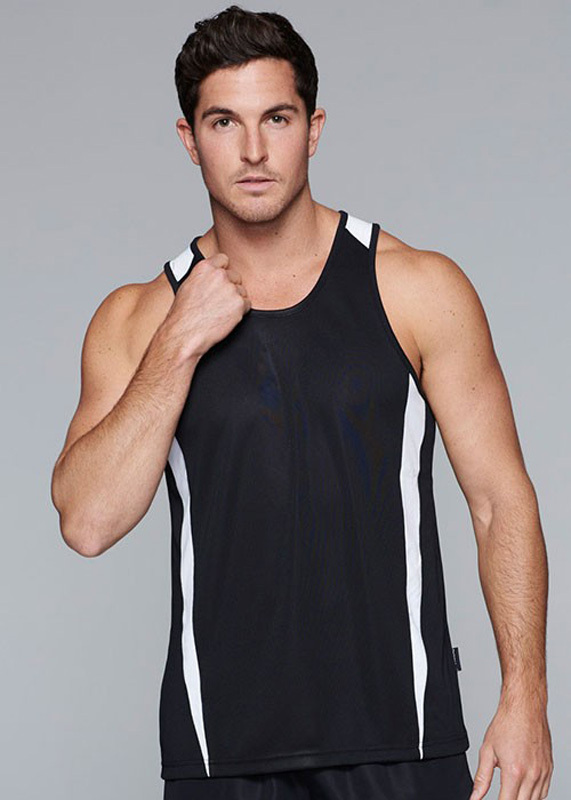 We’ve designed an extensive range of printed CoolDry singlets to make it easier for you to find your perfect fit. 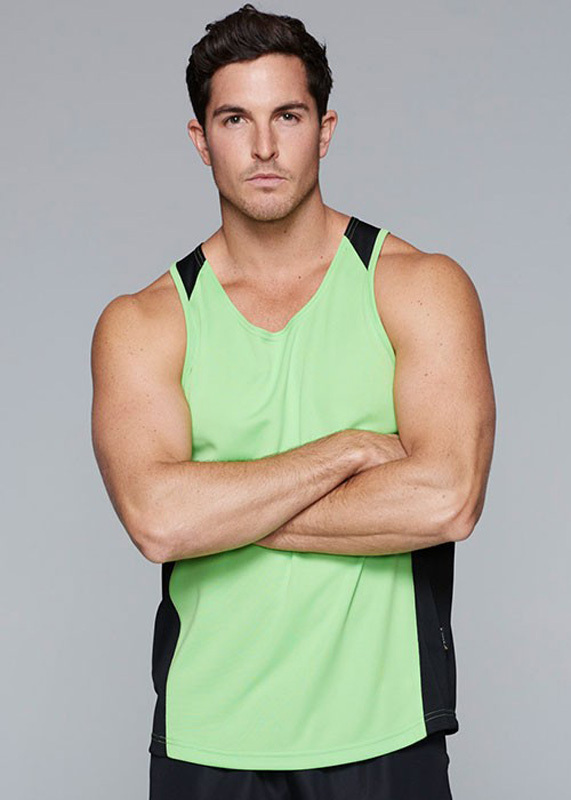 All of our promotional CoolDry singlets in Melbourne and across the country are in an array of colours and styles, ensuring comfort and that the needs of your team or business are met. Logos can be printed onto the front or back of your women’s and men’s custom CoolDry singlets for maximum visibility. We always recommend choosing a colour scheme for your promotional CoolDry singlets for kids and adults that complements your brand, to ensure a cohesive appearance. 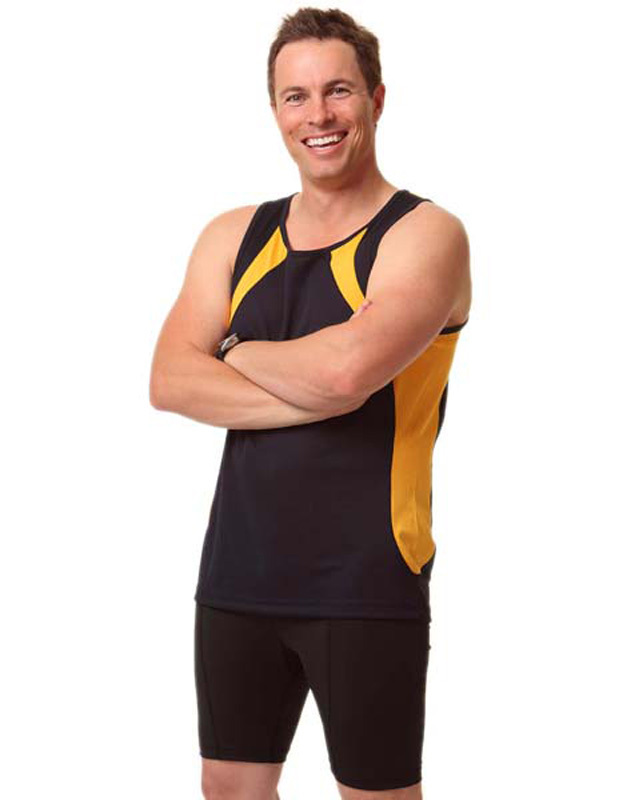 We’re proud to offer our promotional CoolDry singlets across Australia. 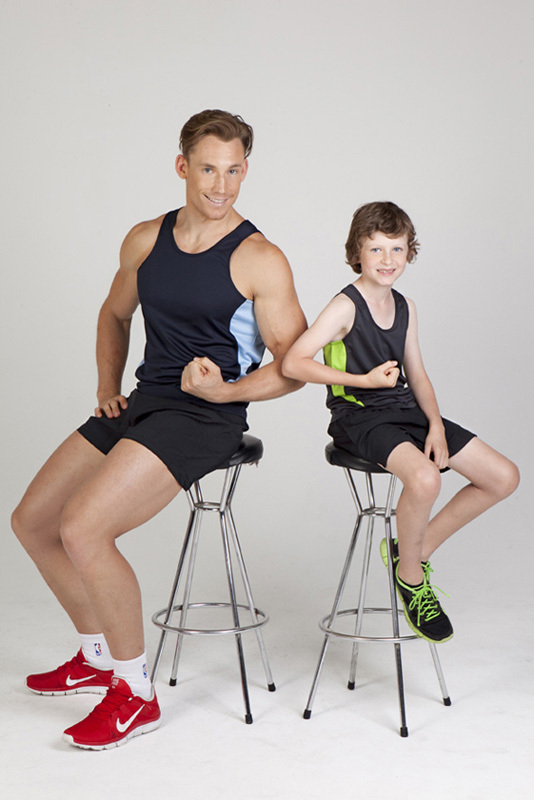 Whether you’re looking for kid’s printed CoolDry singlets or men’s and women’s branded cotton singlets, we ship to Melbourne, Sydney, Canberra, Brisbane, Darwin, Perth, Adelaide, Hobart, and everywhere in between. How many of these shirts do I have to order? 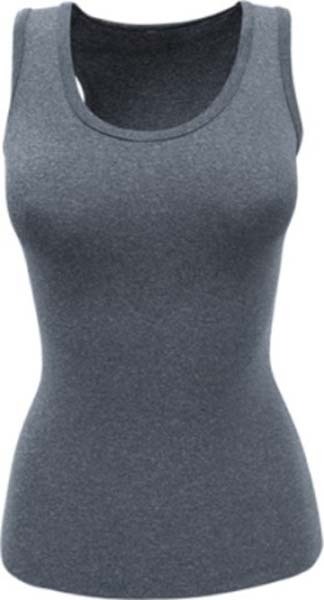 Our minimum order for printing CoolDry singlets for men and women is 10 units. This ensures that you can order as many or as few as your team or business requires. Any leftover custom CoolDry singlets can be put aside for later use or they can be handed out as spares – we could all do with a few extras. How will branded CoolDry singlets keep me cool? After years of printing CoolDry singlets for ladies, gents and kids, we’ve come up with the perfect way to keep you cool. 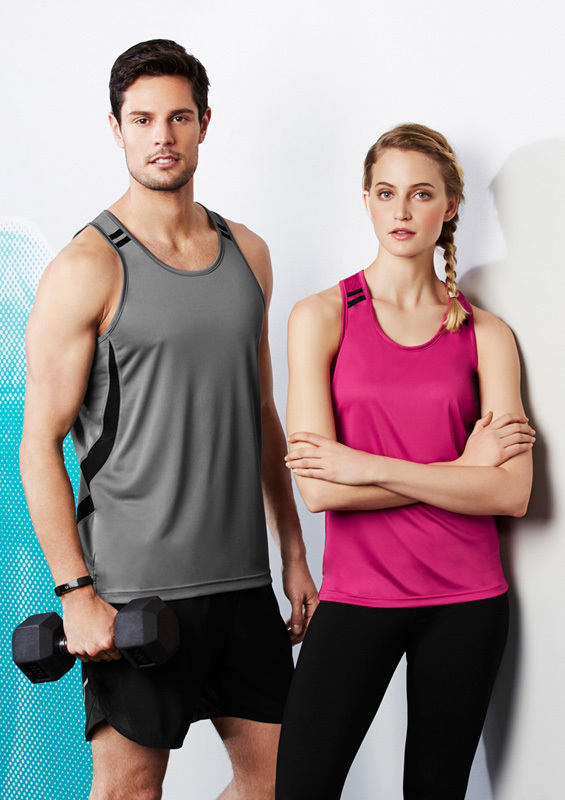 The fabric of the promotional CoolDry singlets for women, men and children will wick the sweat away from your body toward the surface of the top to make evaporation easier, and keep you dry.